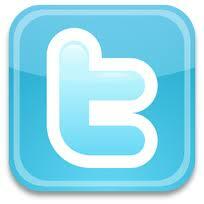 I am repeating a post today for the first time ever. I posted this back in 2012. It’s one of my favorite books and so I’m going to share it with you again. If you haven’t read it, you must! I learned about this book when Sylvie Frank read it to us 2012 Rocky Mountain SCBWI conference. I loved her reading and have read this book over and over many times since. 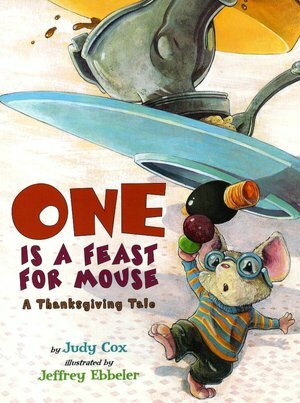 Synopsis: (from Kirkus) Mouse creeps out on Thanksgiving Day as the human family enjoys its post-prandial nap. He spots a pea on the uncleared table, and then a cranberry, then an olive, then a carrot stick…Thinking to himself, “One is a feast for me,” he soon amasses one of everything, until a tower of food teeters on its base of one pea. Ebbeler’s full-bleed, double-page spreads make the most of the humor made available by situation and scale—spot the bespectacled mouse dwarfed by his pile as he marches past Pilgrim salt-and-pepper shakers just his size. Greed goeth before a fall, however, in a slapstick climax children will relish. Opening: After Thanksgiving dinner Mouse crept out of his hidey-hole and looked around. The house was quiet. Dad snoozed in his chair with his book. Mom dozed in front of the TV. Outside, the kids played football in the crisp yellow leaves. Cat curled up by the fire. He yawned and stretched his stripy tail. Then he closed his greeny eyes and went to sleep. Mouse scampered up the tablecloth. Thanksgiving leftovers were still on the table. So much to eat! Mouse saw a teensy-tiny, toothsome, green pea all by itself under a plate. Give thanks, he thought. One will be a feast for me. View the adorable book trailer. Resources: Resources on Holiday House website include activities for Language Arts and for Mathematics. Draw your favorite food activity on pages 24-25 of this activity guide. HERE is a link to some Thanksgiving activities. Why I Like This Book: As I said, this book is charming. It is a humorous tale, with plenty of action, where readers will recognize Mouse’s temptation to be greedy and, in the end, his thankfulness for the little things. Judy Cox’s uses words that beg to be repeated such as catter-whumpus, toothsome, greeny, and stripy. Although I was too far away to see the illustrations when Sylvie read to us at the conference, I was completely engaged. After picking up a copy at my library, I was even more taken by the text when merged with the artwork. The illustrations by Jeffrey Ebbeler (who, also, illustrated some of our own Susanna Leonard Hill’s books) are from Mouse’s perspective. Your mood will be very Thanksgiving-y after reading this fun story!